Read on for photos and much more info on each exclusive. Emma Frost is a mutant who possesses various telepathic talents. Emma can read minds and project her thoughts into the minds of others, project psionic force bolts which have no physical effects but which can affect a victim’s mind so as to cause the victim pain or unconsciousness, and can also induce mental pain merely by touching the brow of her victim. Emma can transform her skin and hair into a diamond-hard form at will. In this form, Emma is indestructible except for one small flaw that, if exploited, can cause her to shatter. Whilst in her diamond form, Emma’s telepathic abilities are suppressed. 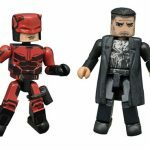 Related Entertainment Earth links: Marvel Universe Wave 7 Emma Frost, All Marvel Ant-Man Products, All Toys and Action Figures. We hope you’ve enjoyed our coverage of the Kotobukiya booth as much as we enjoyed our time there! 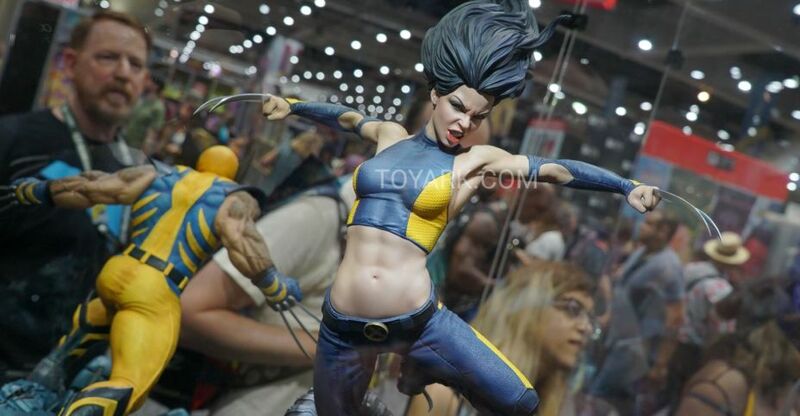 You can check out all things Koto from NYCC 2015 after the break! 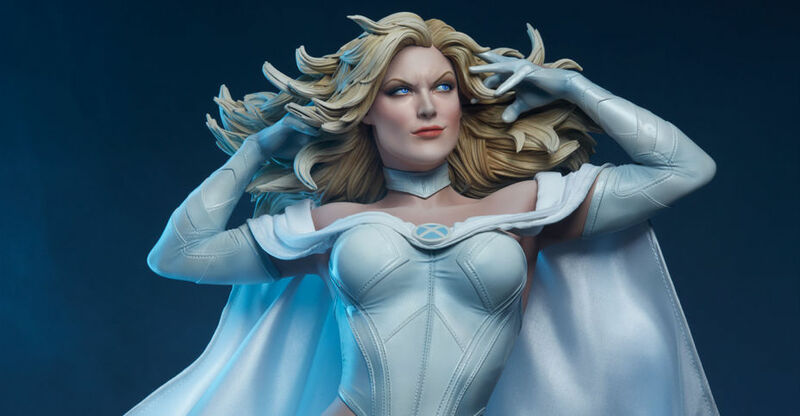 Sideshow Collectibles is proud to present the alluring Emma Frost ‘Hellfire Club’ Premium Format™ Figure. First introduced in Marvel’s acclaimed Dark Phoenix Saga storyline as the White Queen of the elite Hellfire Club, ice-cold Emma Frost began her career as one of the X-men’s hottest adversaries. Pre-orders are live now. The statue is priced at $54.95 and you can order it Here. It’s scheduled for release in December. Read on to see the new photos.